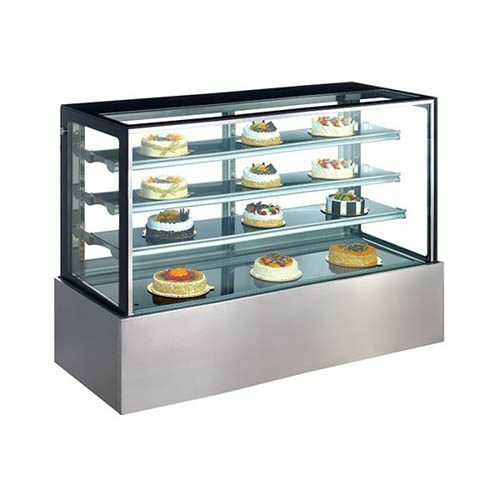 Cake & pastry display fridges offer an ideal view to your fresh and tasty treats. 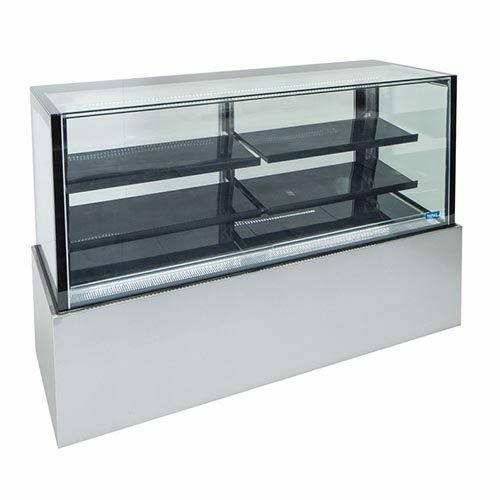 We deliver food display units Australia wide. 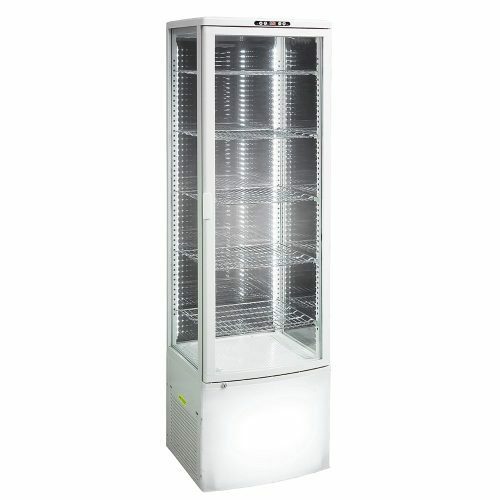 We also have service technicians all over Australia to help you in the event anything goes wrong. 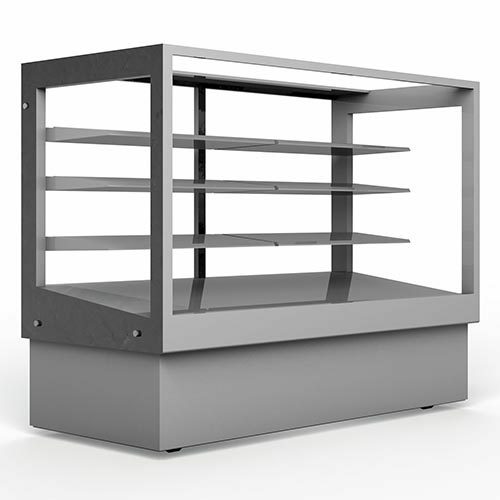 Are you confused about which display unit to choose? 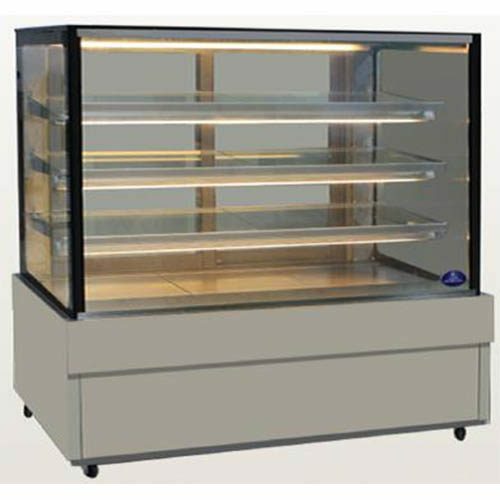 Give us a call on 1300 426 263. 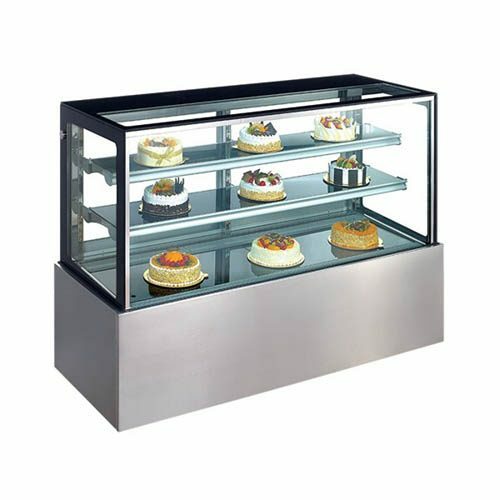 We’ll help you to choose the right model for your business needs. 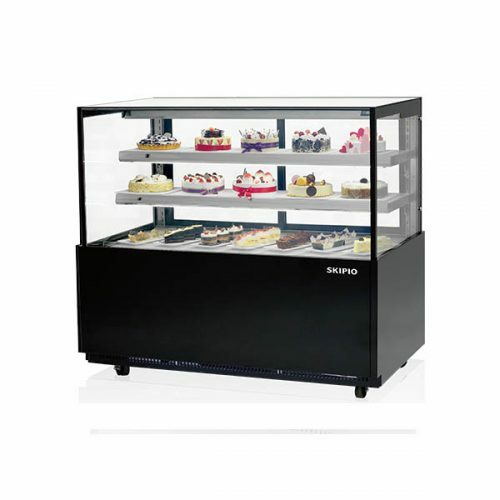 For bakeries, cafes and restaurants display fridges are a must as they allow you to present a wide range of product variety, while also keeping the products fresh and delicious. 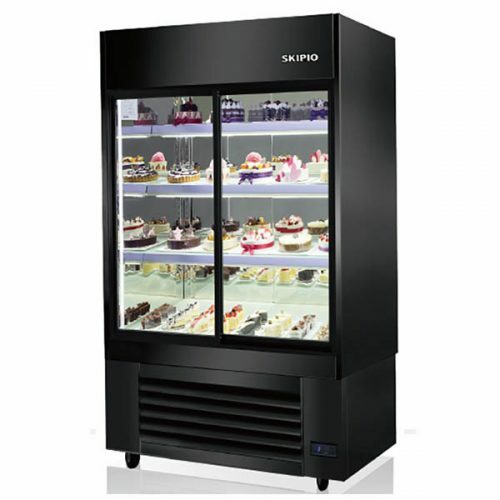 We offer high quality and highly reliable food display fridges, with unique specifications such as: LED lights, rotating displays that come in a wide range of designs, shapes and sizes. 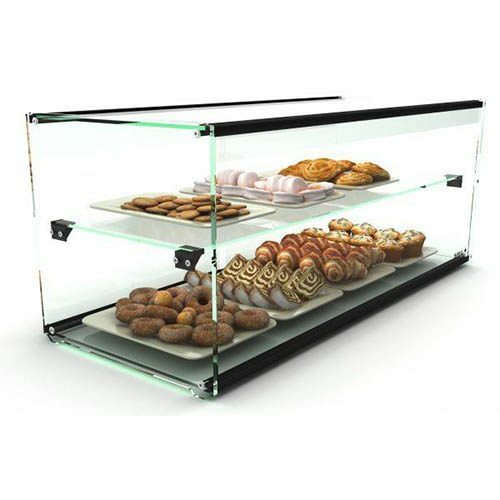 Square Glass or Curved Glass? 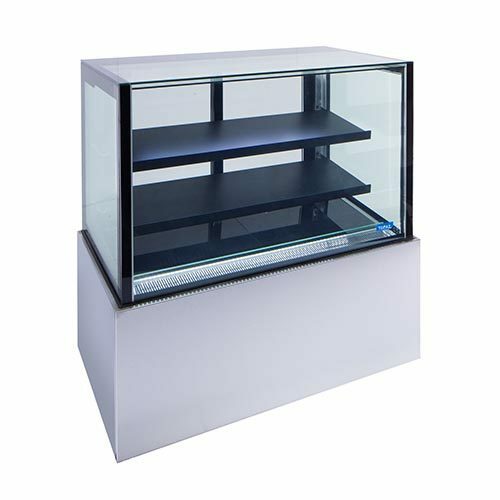 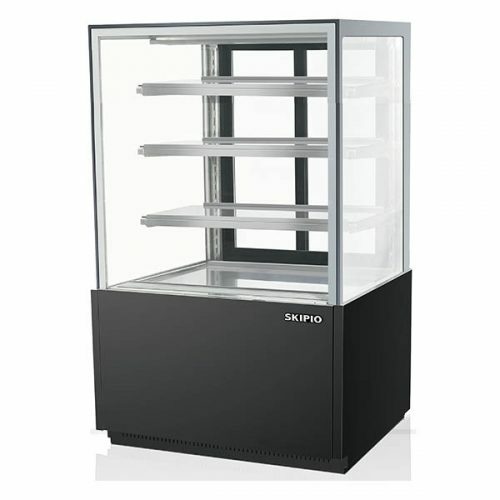 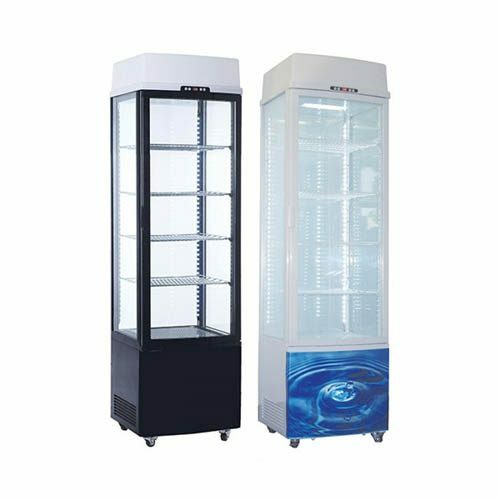 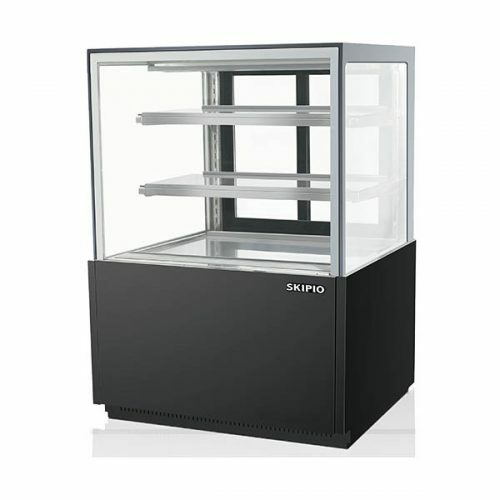 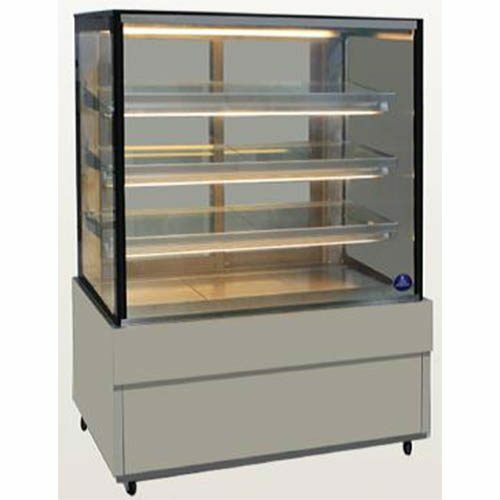 Square glass display fridges are the perfect units to display foods like cakes, sandwiches, chocolate goods, sealed foods and even bottled drinks. 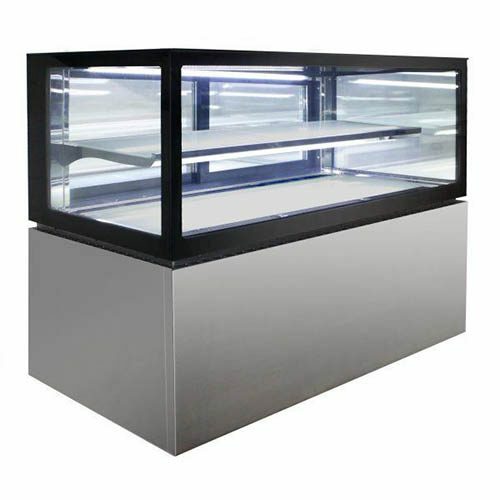 The square glass display fridges look trendy and also give you a larger area to work with inside the cabinet as well as on top of the fridge. 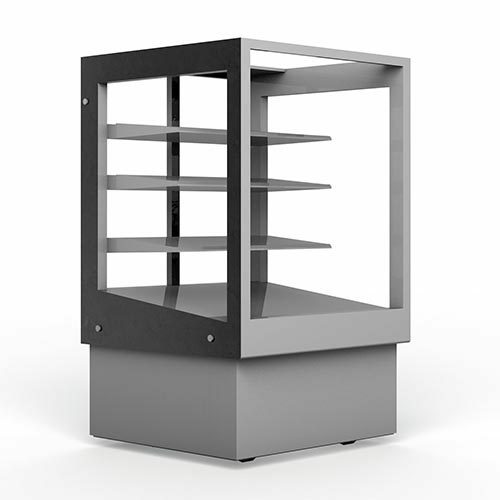 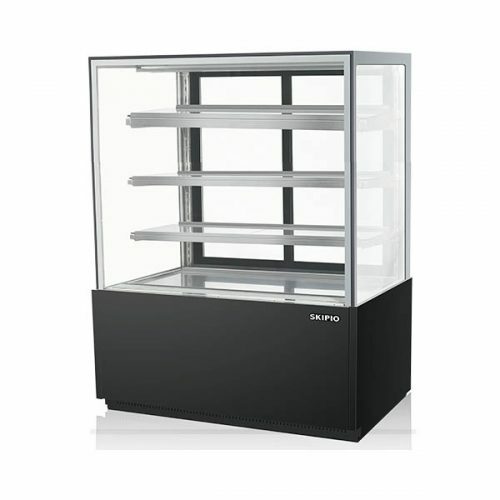 The square glass models give the maximum amount of visibility for your products. 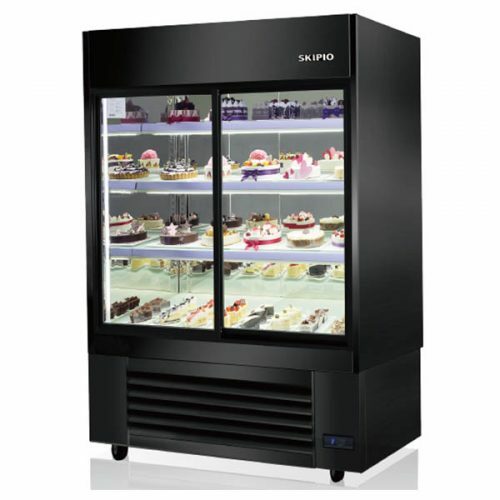 These units are fully self-contained and just simply plug in. 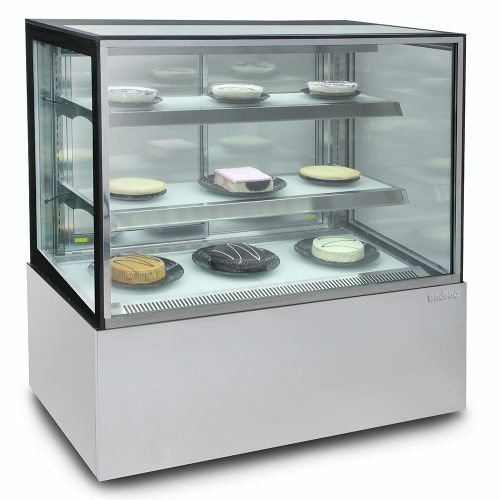 They run between 2c and 8c and are easily adjustable with a digital control to suit your temperature requirements. 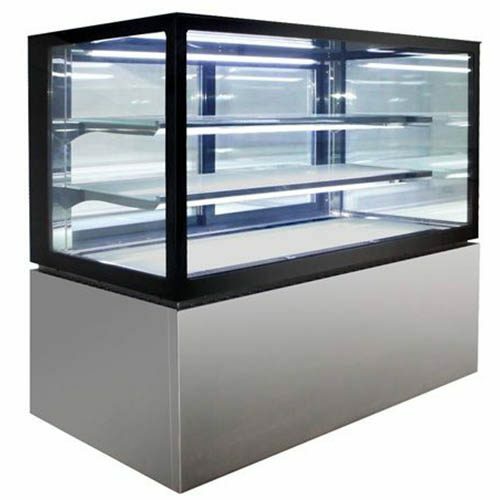 LED or fluorescent lights fitted under each shelf. 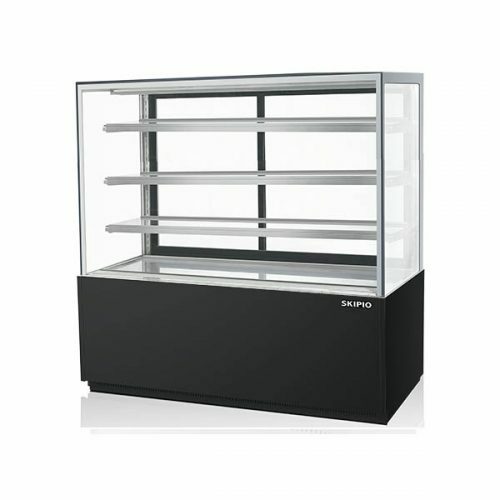 Depending on what you’re selling, glass or plastic gloss shelves are installed to give the best product presence. 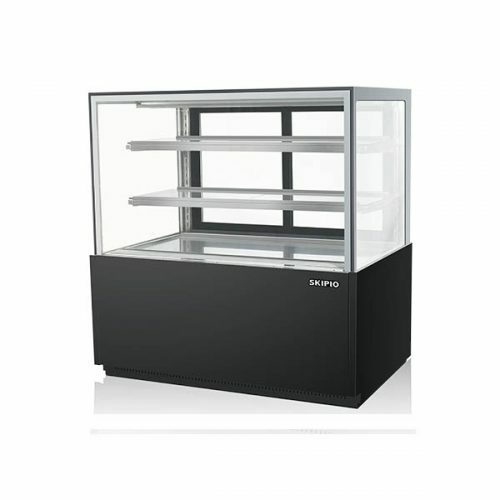 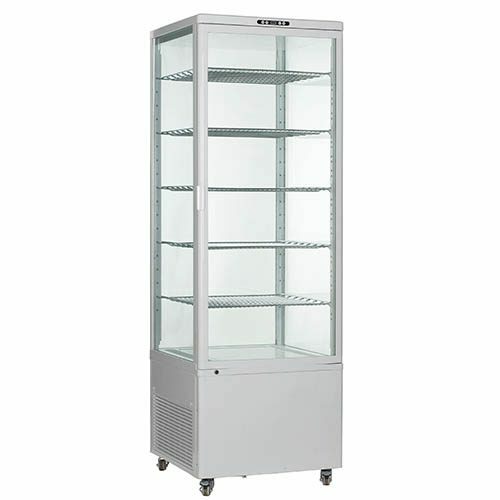 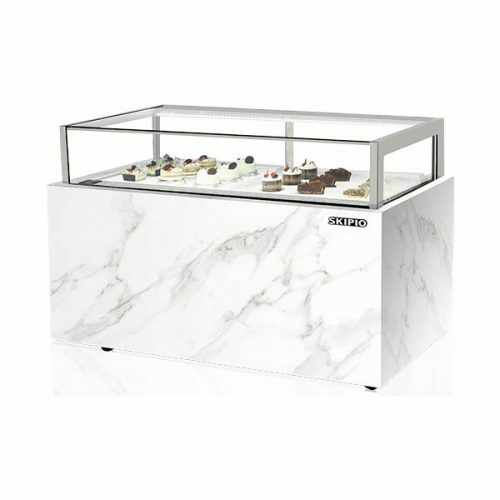 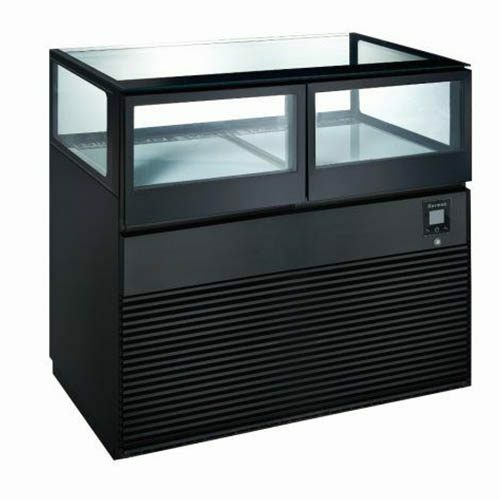 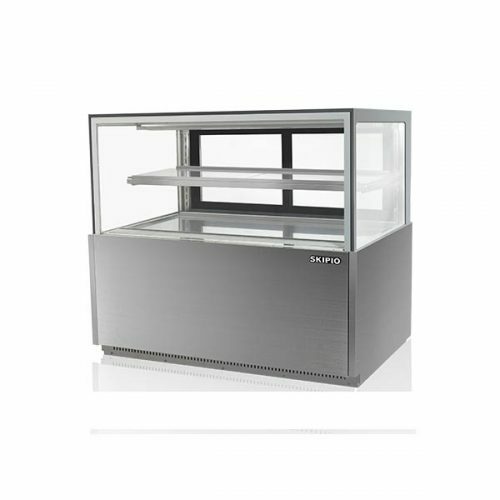 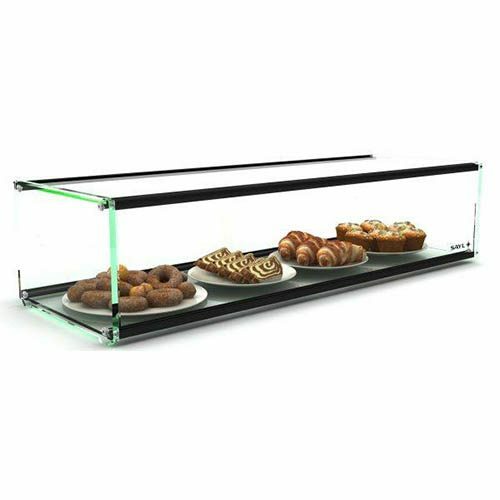 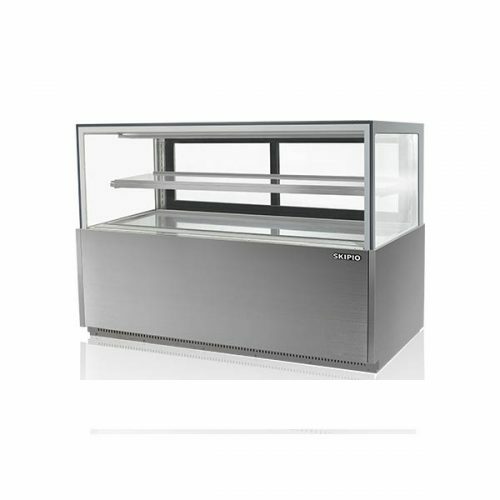 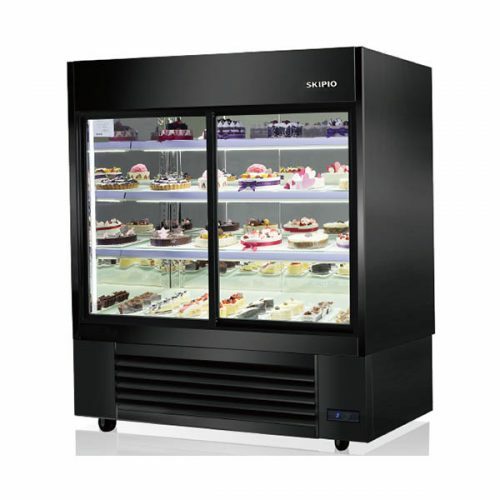 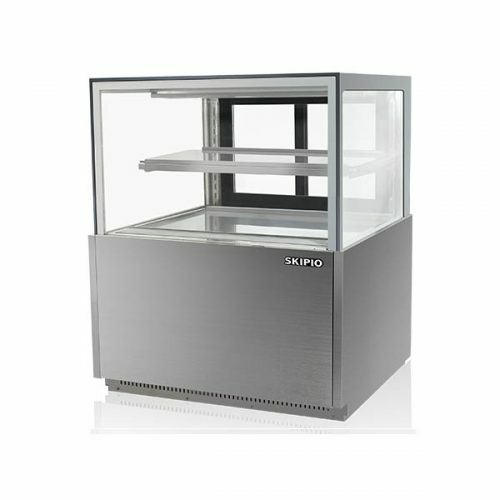 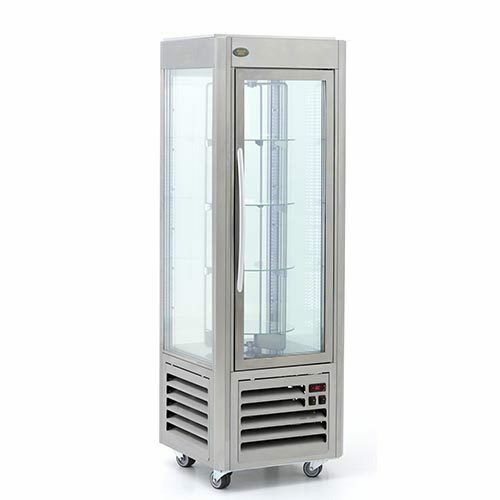 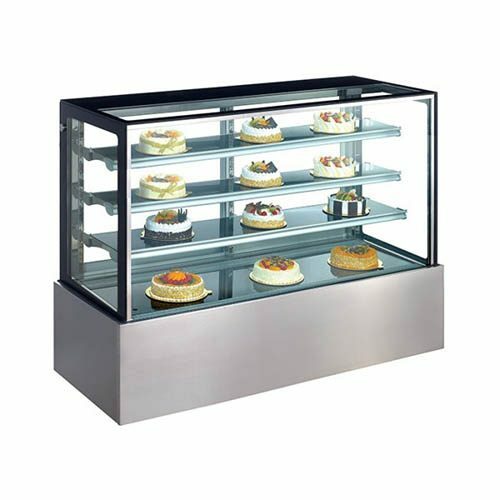 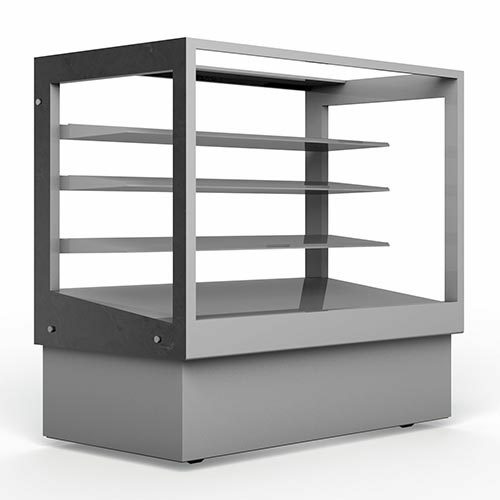 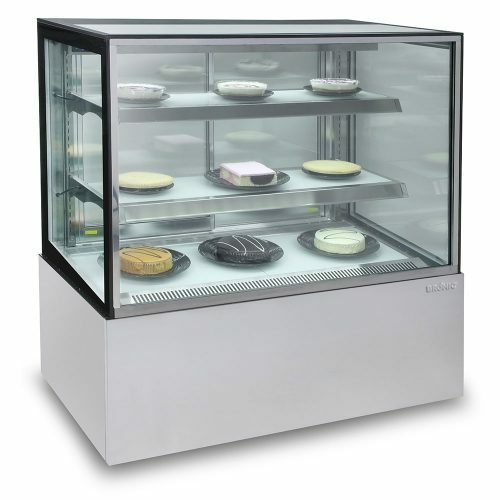 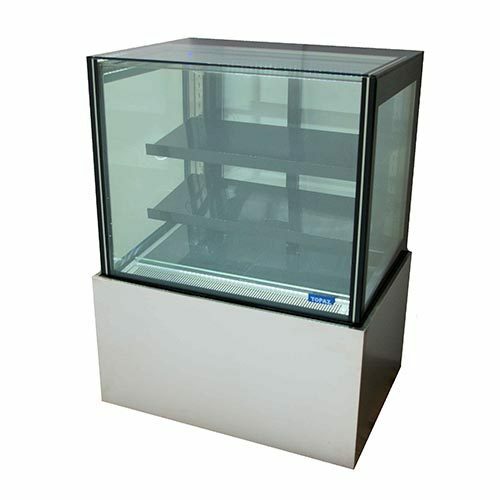 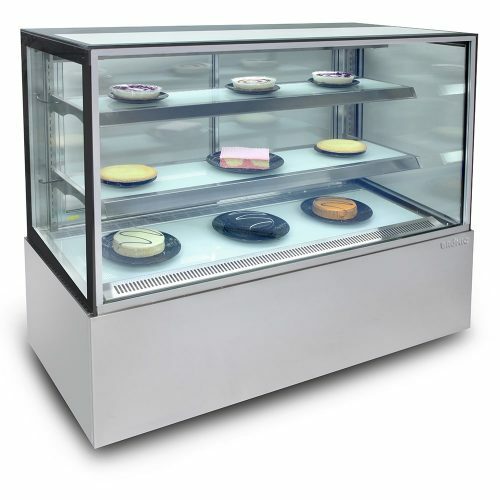 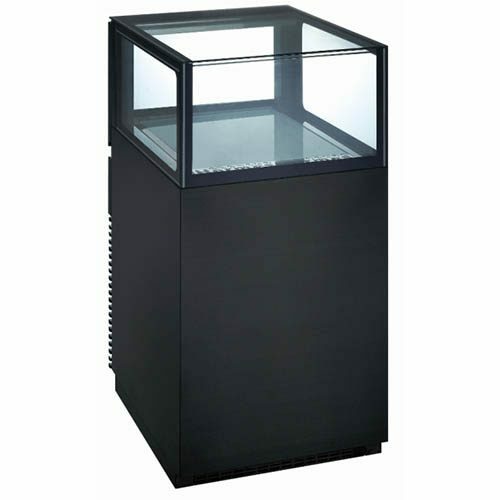 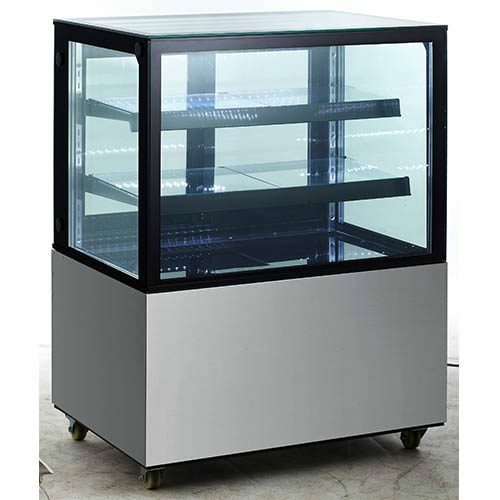 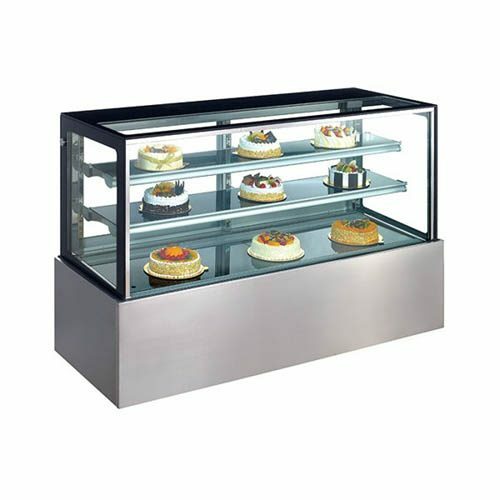 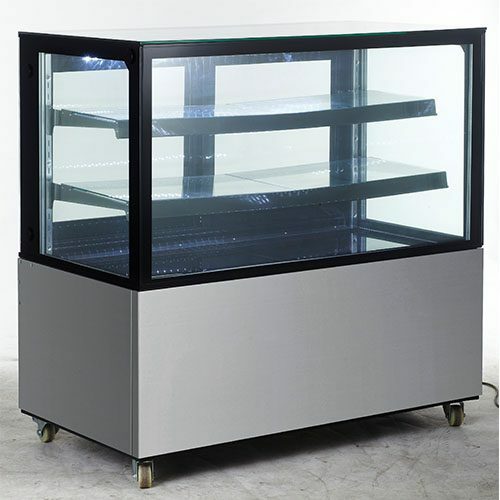 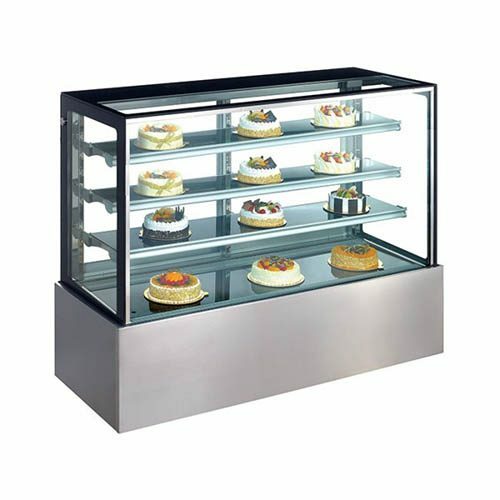 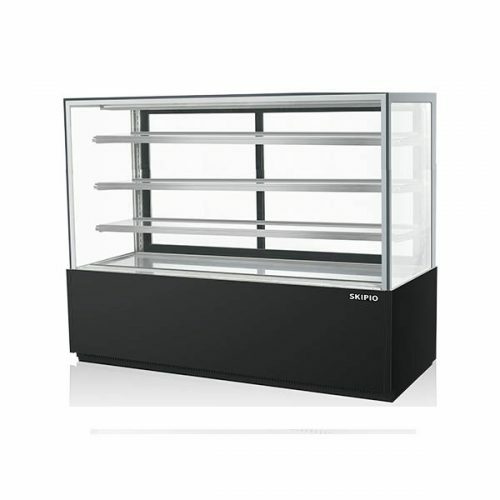 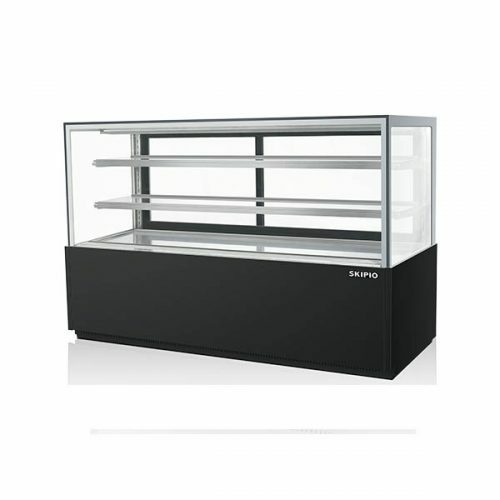 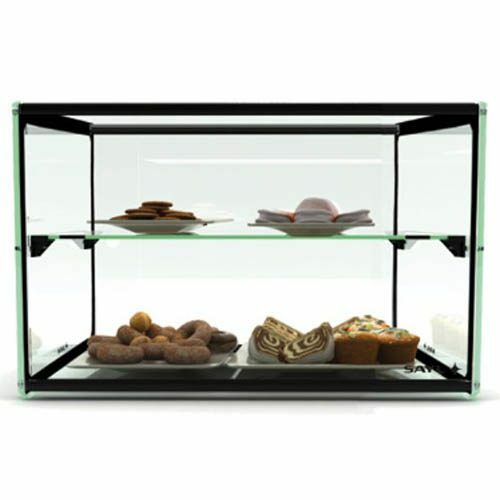 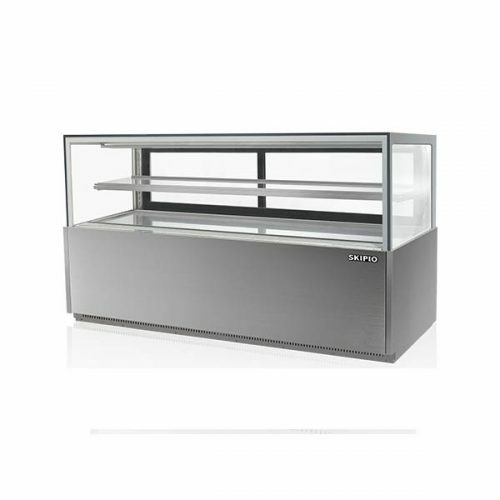 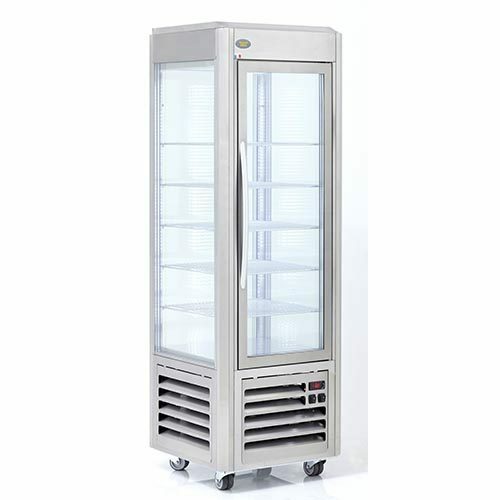 Curved glass cake display fridges are not generally as popular as the square glass fridges because they have the disadvantage of losing shelf space as you go up each level in the display case. 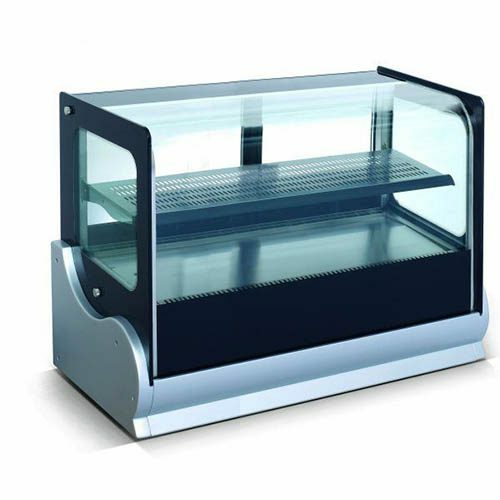 You also don’t have as much of a display on top of your fridge losing that to the curve in the glass. 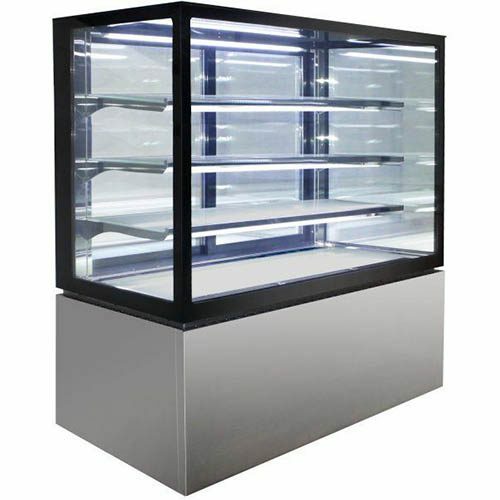 However, they still have LED or Fluro lights under each level of the shelves for a fantastic product display. 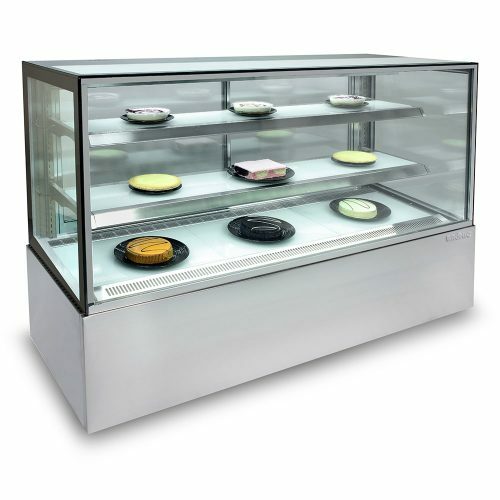 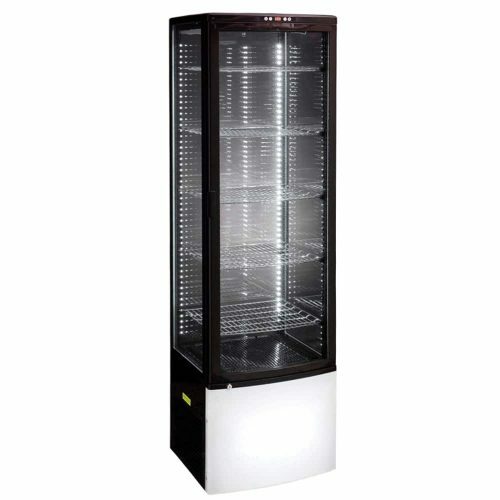 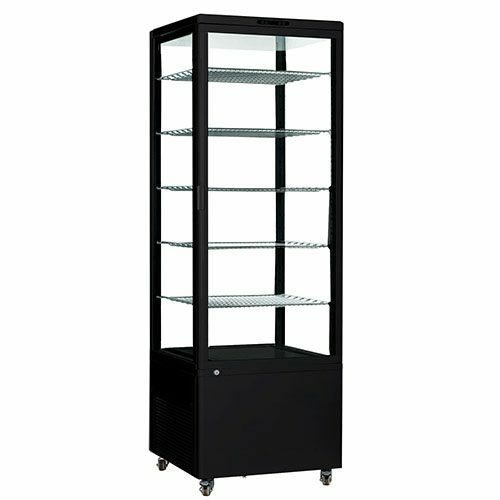 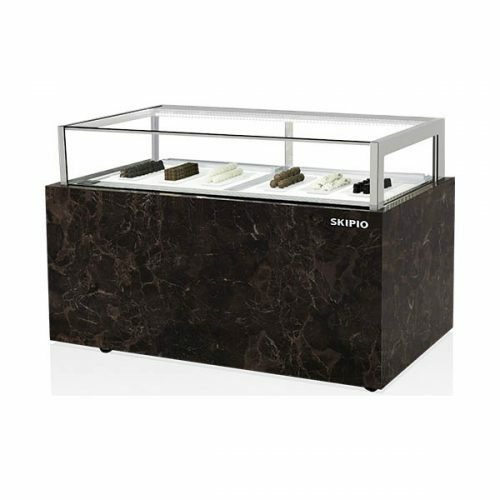 If you don’t have a lot of products to display, the curved glass display fridges are an excellent choice. 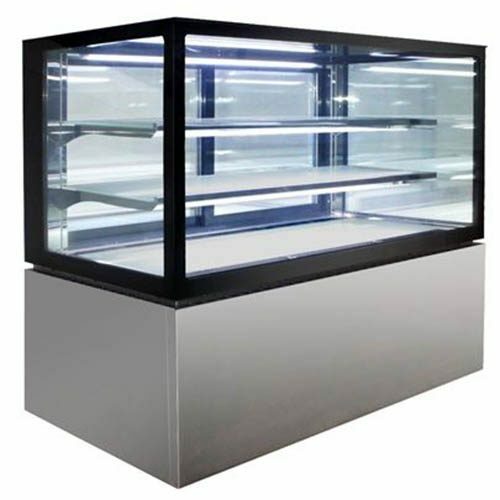 If you are looking for a bench top / countertop fridges, we have those available here: Benchtop Fridges. 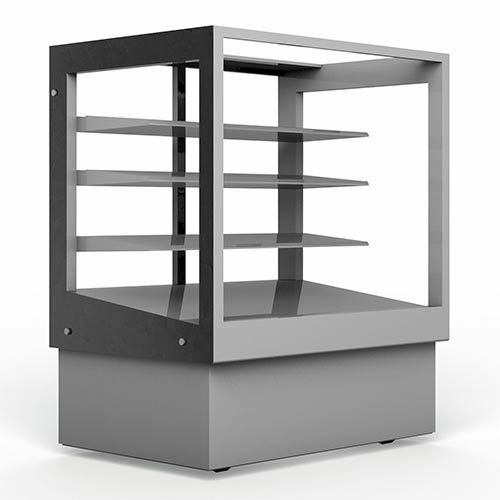 It doesn’t matter if you’re in Melbourne, Sydney, Brisbane, Adelaide, Perth or Darwin. 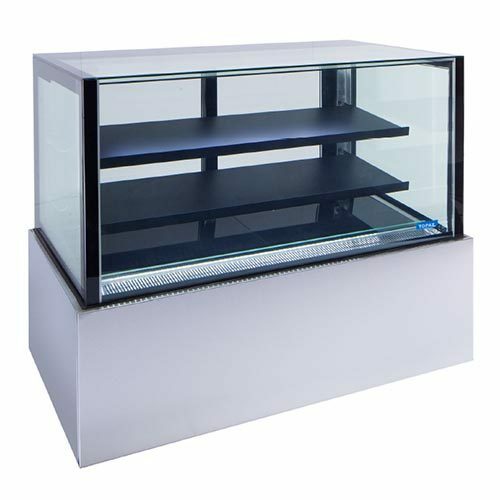 We deliver our products, with service agents all across Australia. 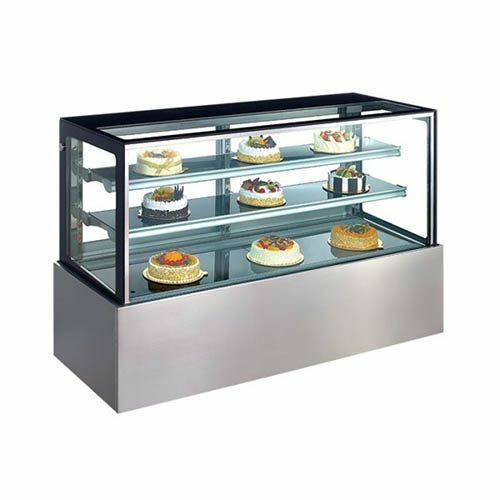 We even deliver to Tasmania on a weekly basis.